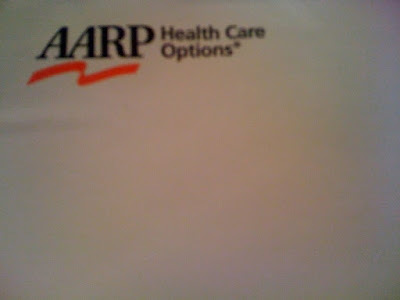 Imagine my surprise when I saw the BIG "AARP" envelope in my mailbox. 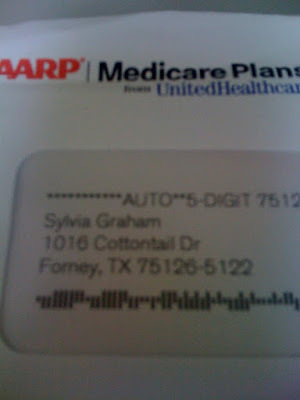 I was like, "YIKES, I thought you didn't start getting these until you were almost 50 - I'm not even 45 yet! " After sitting on my counter for like a day, I picked up the dang thing, and saw that it wasn't even addressed to me, but SYLVIA GRAHAM. Not sure who she is. All I know is that she AIN'T ME!!! I find words totally unnecessary but can't refrain! 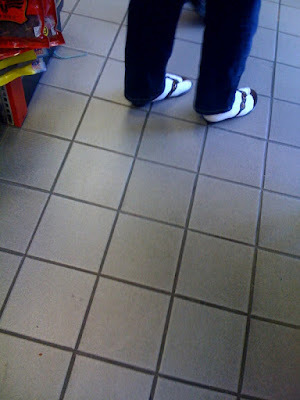 There is NEVER a time EVER that socks should be worn with thong sandals. Not even in the privacy of your own home. I even question wearing socks with non-thong sandals. The only exception I can think of is this - maybe in the dead of winter, in the middle of the night because you have to walk your dog. BUT NOT on a hot humid 100 degree Sunday afternoon in public - even if it is the local gas station. A couple Saturdays ago, I was invited to a Lia Sophia Jewelry Party. 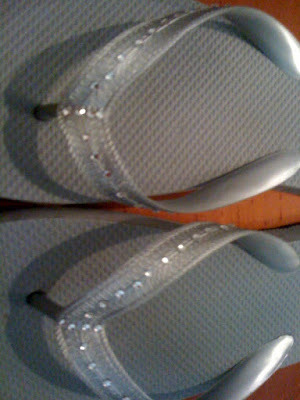 For wearing "bling" flipflops, our names got entered into a drawing. Well, I had bought these flipflops at Target. 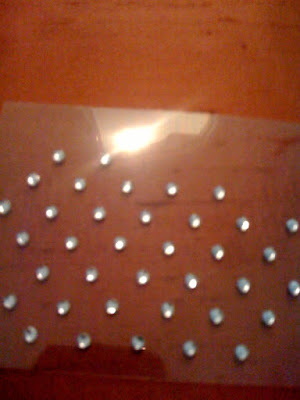 I had planned on wearing them plain, but remembered that I had bought these lovely fake diamond stickers for some other arts and crafts project never completed and totally forgotten. 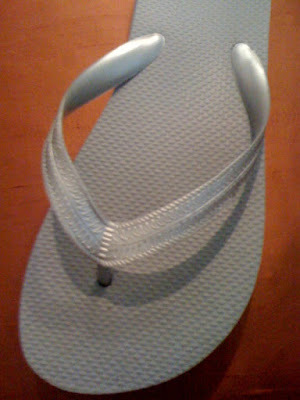 Within 10 minutes, my plain flipflops became cute and chic. Ok, maybe a little pathetic and understated, but hey I got my name in the drawing!